Our 12g Threaded CO2 cartridges come ready with the highest quality CO2 gas used to fill each stainless steel cartridge. The versatile cartridge can be used to provide the most convenient way to inflate your bicycle or motorcycle tires when off road. 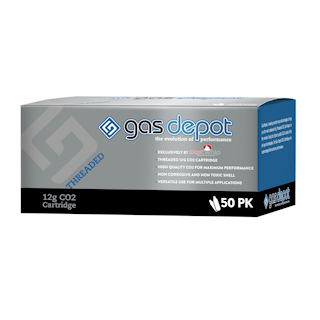 The cartridges are also compatible with various gas powered tools and guns.